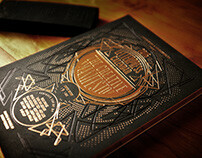 The deluxe edition front cover is on gold paper, with gold hot foil and black hot foil. 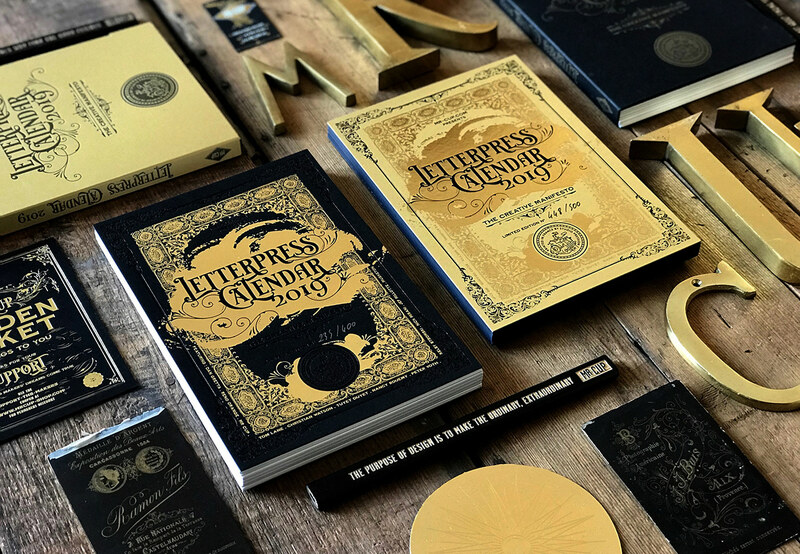 All the pages are in gold hot foil on black paper. The standard edition front cover is on black paper with gold and black hot foil. 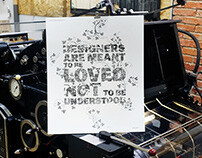 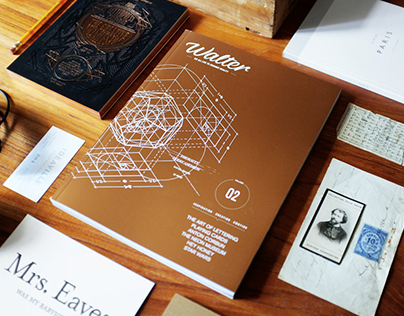 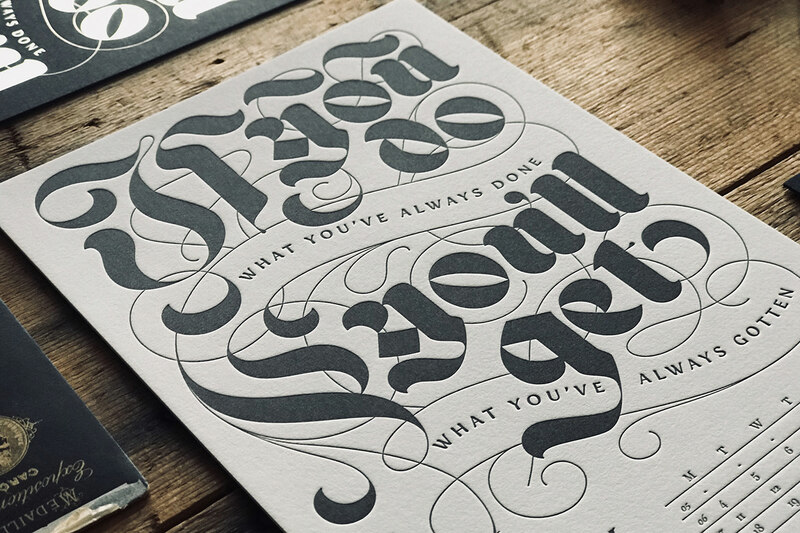 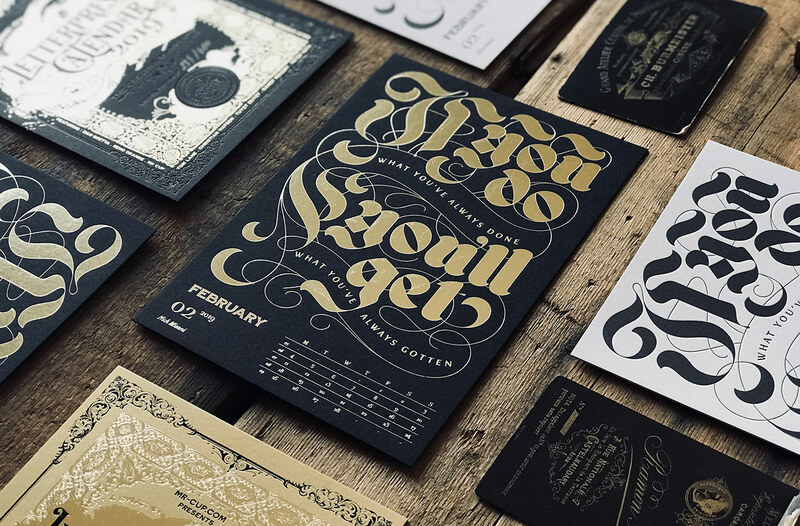 The pages are letterpress printed in black on white and light grey pure cotton paper. 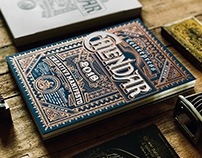 For every edition, I ask graphic designer and typographer to create unique font work. 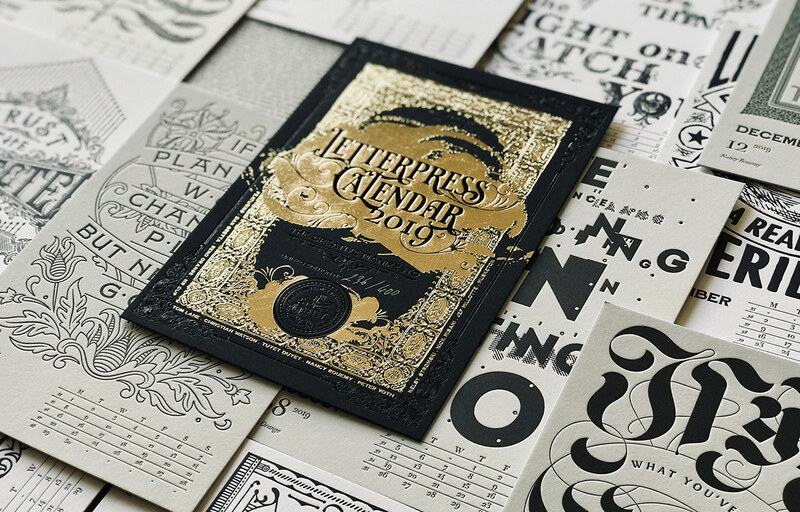 This year edition will feature unique designs by Nick Misani, Ginger Monkey Tom Lane , Dan Grett, Peter Voth, Kelsy Stromski, Christian Watson 1924.us, Tuyet Duyet, Reno Orange, Dan Gretta and Nancy Rouemy. 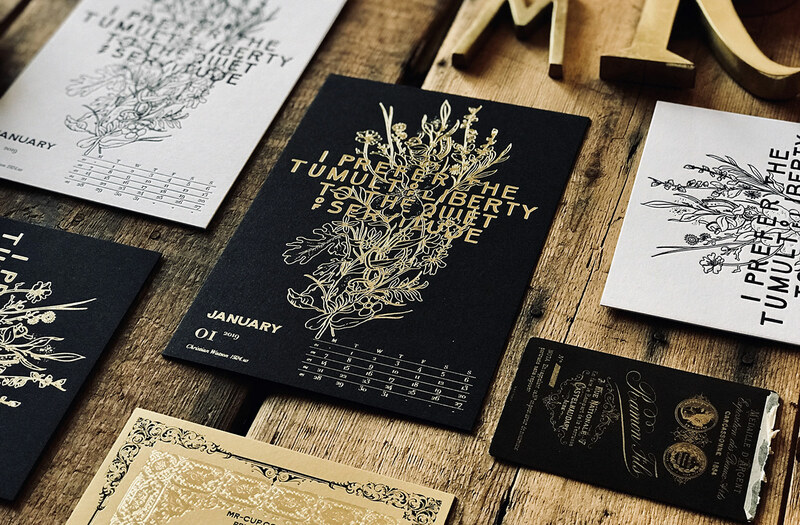 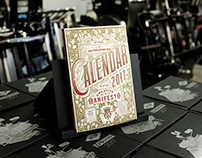 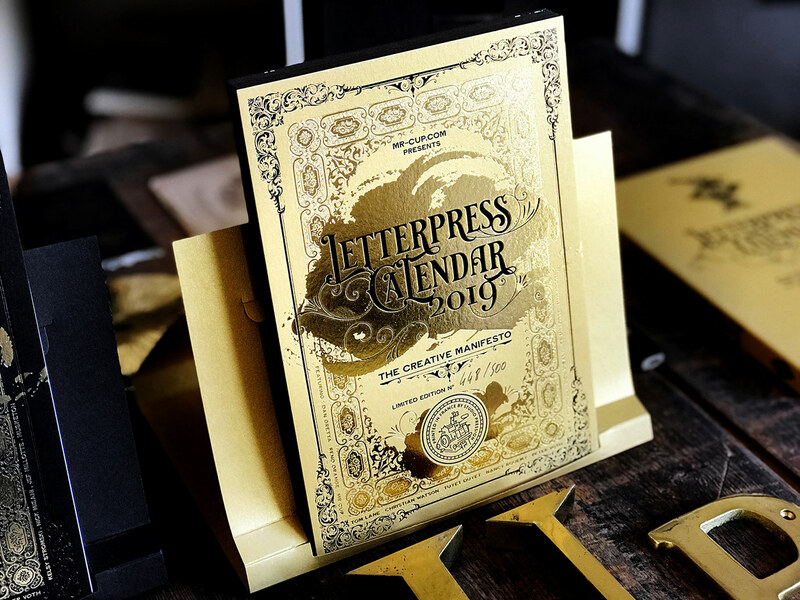 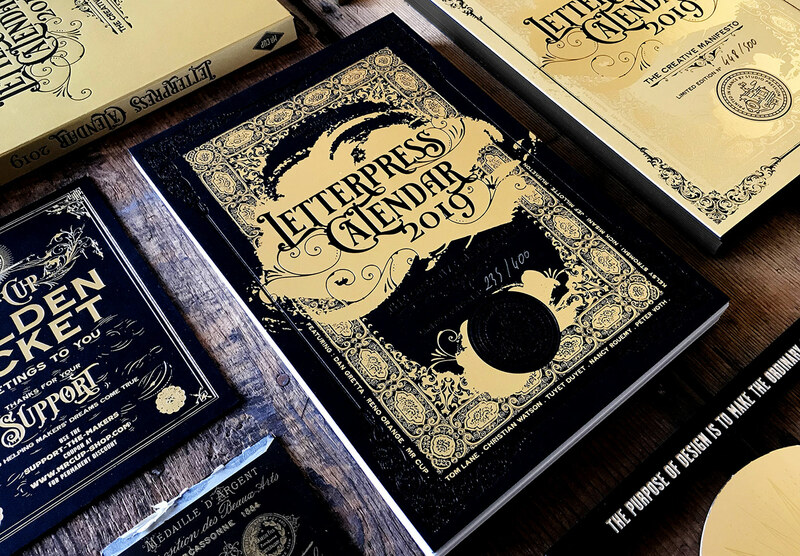 The calendar is printed in France, at Studio Pression. 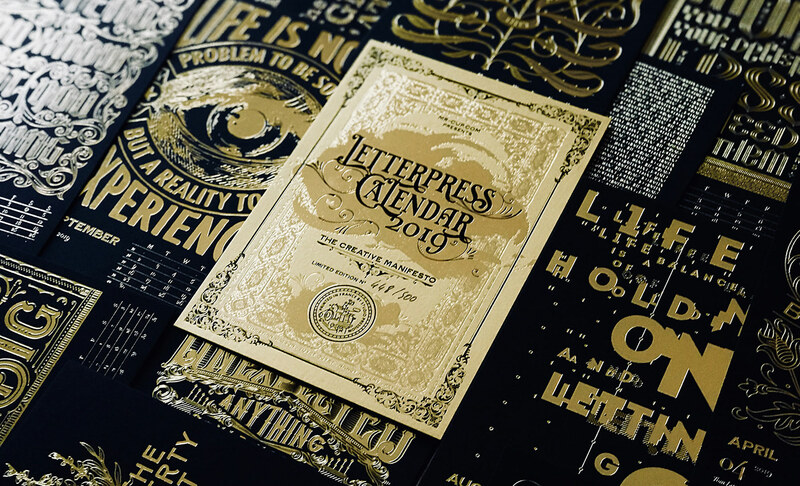 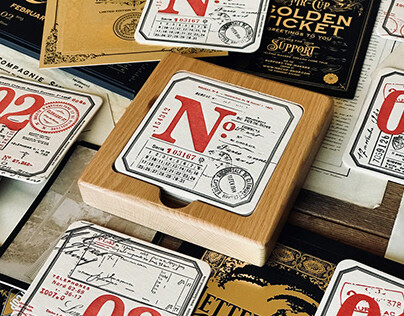 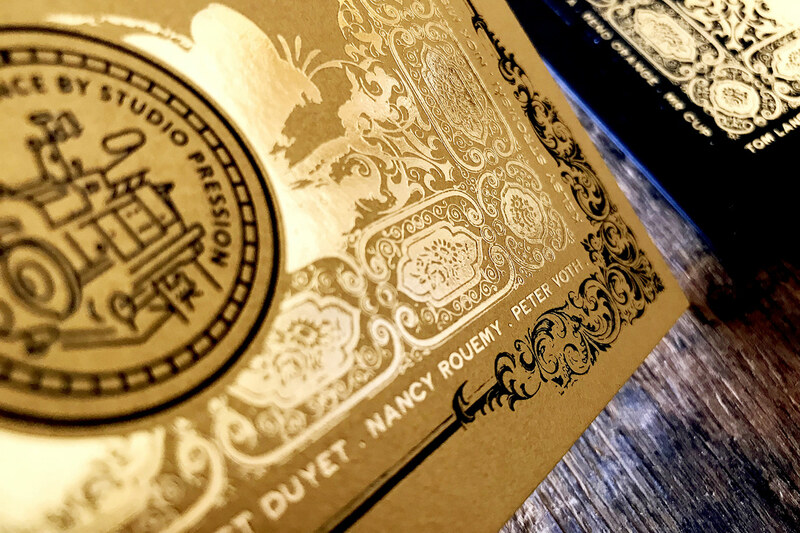 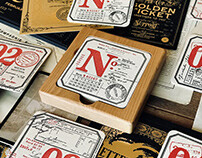 Letterpress printing has the ability to create relief into paper by adding tons of pressure while printing. 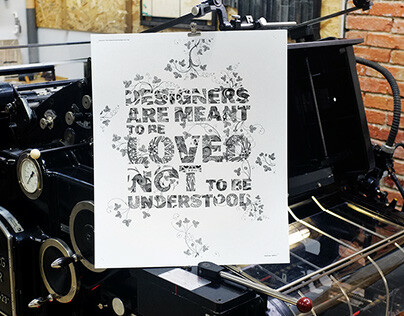 It’s called deep impression, or debossing. 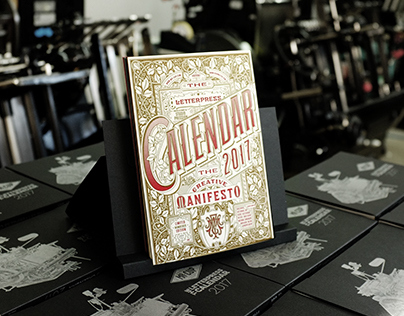 And it’s done at the same time, printing AND debossing, always one color at a time. 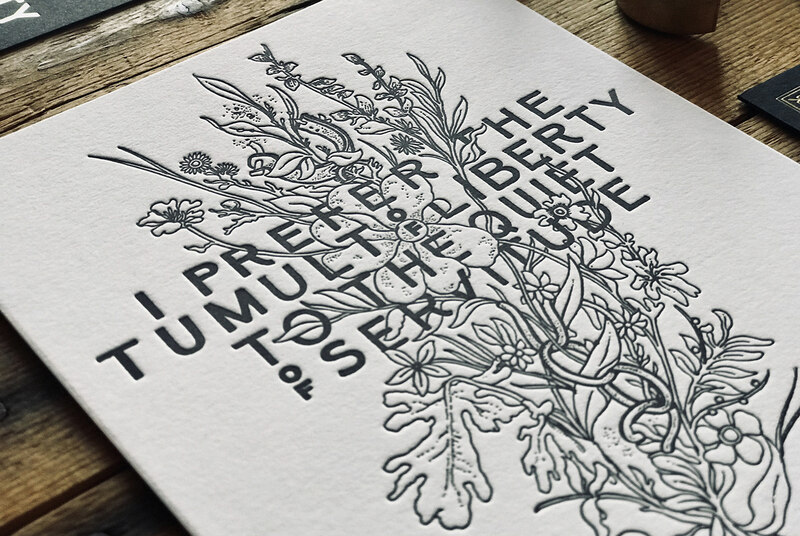 The thicker the paper, the deeper the impression. 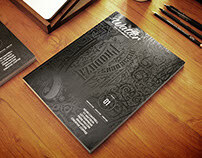 For a crisper effect, we use much harder magnesium plates or even copper plates for this year front cover.